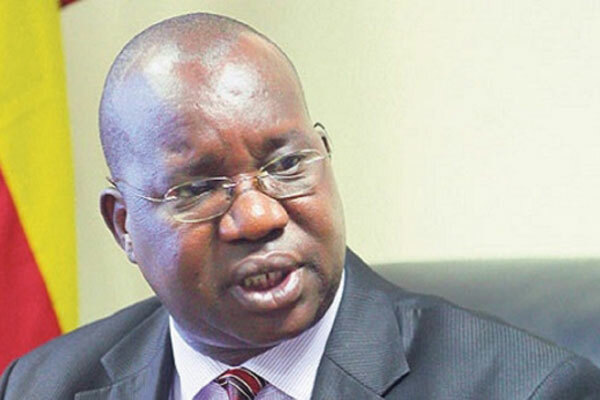 PARLIAMENT– The meeting between MPs on the Public Accounts Committee (PAC) and officials of the Directorate of Ethics and Integrity ended abruptly after the team headed by Ethics Minister, Father Simon Lokodo failed to account for funds they spent in two financial years. The team had been summoned by PAC to provide responses to queries raised in the June 2016 and June 2017 audit reports but fell below expectations when they admitted not having evidence to funds they spent to fight corruption in Uganda. In one of the queries, the auditors questioned the maintenance costs incurred by the entity during the year which amounted to Shs323,214,195 as compared to the prior year of Shs153,189,062. The new expense put the increase of Shs170,025,133 represent 111% which the Auditor General, John Muwanga considered significant in a period of one year. Alex Okello, Secretary to Directorate told the Committee that the money was used in repairing 17 vehicles for the 60 staff at the Directorate, of which half of the staff are support staff. When asked for the breakdown of how the money was spent, the officials admitted not having the documentations to back up their expenditure. It was also revealed that the Directorate advanced Shs164,556,654 to personal accounts of staff to make onward payment supplies, consultancies, workshops and seminars as well as allowances to colleagues for field trips. When the Auditors scrutunised the suspicious expenditure, they discovered that there was no evidence to show that the allowances received on behalf of other staff were indeed passed on to them as no acknowledgements were provided for verification. In his response, Okello admitted that although the Directorate can ascertain the number of participants invited for a workshop, the entity cannot ascertain the actual participants during the workshops in the Districts earlier since some of the invited participants delegate other officers to represent them in such workshops. The Directorate was found to have spent Shs280,802,254 on rent and paid to NSSF in four installments without a valid contract with auditors arguing that lack of valid contract implies that the Directorate doesn’t know the extent of its obligations and whether the terms and conditions are being adhered to. When questioned about the matter, the Directorate pushed the blame to Uganda Land Commission asserting that the responsibility of getting the tenancy agreement is between Uganda Land Commission and the Land Lord. “The delay was due to failure of ULC and the landlord to enter an agreement since September 2013 despite constant reminders by the Directorate. The Directorate is however in the advanced stage of getting the tenancy agreement. The payment to the landlord was based on the expired contract and on the same contract terms,” Okello said. He told the Committee that the Directorate has obtained the draft Tenancy Agreement which is pending signature of the responsible officers in Uganda Land Commission and they expect this to be finalised by the end of November 2018. Okello’s response raised more queries from the MPs with PAC Chairperson, Angelline Osegge tasking the Directorate to explain the circumstances under which the rent was being paid. “So you don’t still have one (tenancy agreement) and you’re paying money on what basis? How have you been paying rent without tenancy agreement” Osegge asked. Mathias Mpugga also demanded the Directorate to avail Parliament with transmittal letters from the tenancy agreement. It was observed that Shs200M was spent on Janan Luwum National Celebration Day during the period under review, however this activity had not been budgeted for, with auditors warning that there is a risk that other budgeted activities were not implemented because of lack of funds for the activity. The Directorate defended the expenditure noting that Janani Luwum National Day was declared a public holiday by President in 2015 and he directed commemoration of the day but the activity was commemorated after the budgeting process for the financial year under review had long been completed.